Plan your Summer Vacations in advance for this Holiday Carnival 2018! Are you feeling stressed with exams in this hot summer? Then, why not beat off your stress & chill with Rain Dance? You must have started listing down the places to visit & stay. 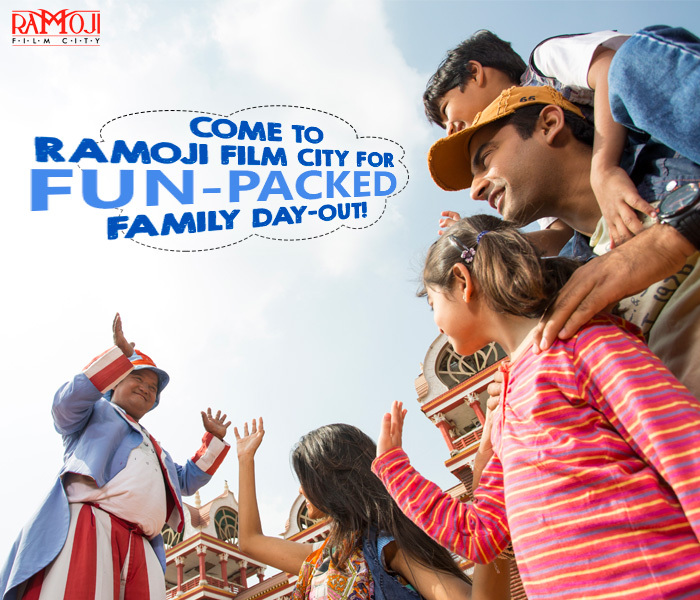 Then, why not tour to The Thematic Holiday Destination, Ramoji Film City? Gift yourself & your family with a Memorable Vacation. You have lots to discover, explore & experience. From Large Size Film Sets to Big Scale Floor Sets to Thematic Landscapes to Theme Gardens to Thematic Attractions to Movie Making to Nature’s beauty to Birds Aviary to Butterfly Park to Enthralling Rides at Eureka to Kids Wonder Zone Fundustan to Adrenaline Infused Sahas Adventure & many more. Chance upon to open up to the secrets of Movie Making! 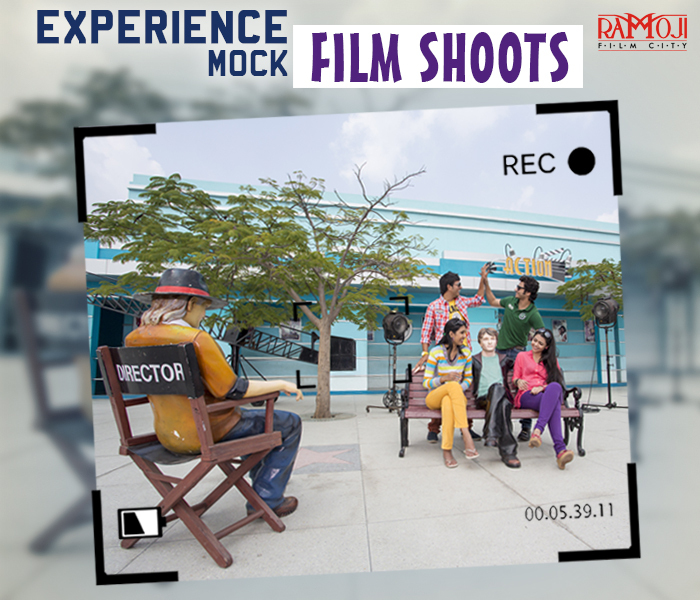 Your scales of cinema making imagination could be perfectly measured at Ramoji Movie Magic with the live demonstration of Movie Making. You could satisfy your hunger at Eureka Restaurants serving multi-cuisine delicious amidst the filmy interior attractions. 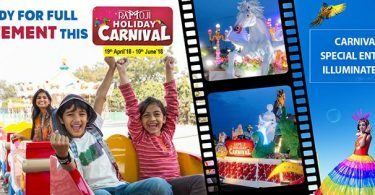 The special attraction for this Summer is Enchanting Holiday Carnival Celebrations. Come & experience 54 days of an exciting blend of fun, fantasy, vibrant carnival delights & scintillating live shows, musical extravaganza starting from 19th April’18 to 10th June’18. Plan your tour with the minimum of 3 Nights stay & avail customized stay packages& experience The World’s Largest Ramoji Film City. 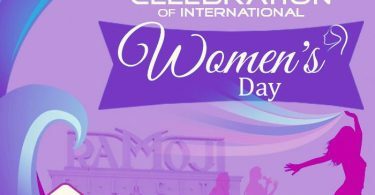 International Women’s Day Celebrations at Ramoji Film City!